Slugging has been a staple on Interstate 95 for more than 40 years, but with growing complaints about the tolls on the express lanes of I-66, some people hope that slugging can take root there as well. WASHINGTON — With the addition of high tolls for solo drivers along Interstate 66, one man is working to transplant the slugging culture that’s been part of Interstate 95 for decades to I-66. Kalai Kandasamy not only has a free mobile slug lines app that he started last year to facilitate the form of ride-sharing, but he’s also started a I-66 Slug Lines Facebook group containing about 250 members. He said people are using the app and Facebook group to coordinate rides. The newest slug line is from the Vienna Metro south Kiss-and-Ride parking lot to Foggy Bottom Metro station. “There are more calls for operating at different locations,” he said. 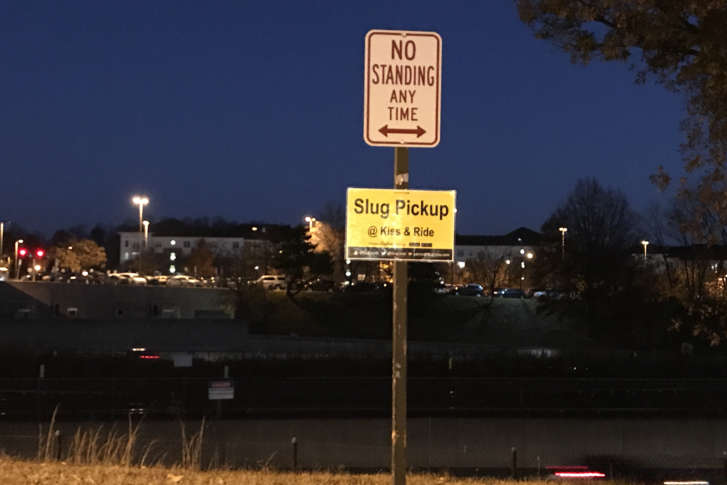 To use the slugs, he said, drivers need to show up at the Vienna Metro south kiss-and-ride parking lot, where slugs will be lined up next to the bike racks. There drivers can pick a rider (a slug) or two. Starting on Monday, the group is expecting about 250 people from the Facebook group to start lining up, so drivers and slugs can catch up with each other. “That is a change in culture,” he said. Kandasamy said slugging is different from carpooling or Uber because no money is exchanged. The deal with slugging is that the rider gets a free ride and the driver avoids paying the toll. Slugging culture has its own set of rules and etiquette for riders and drivers. Most importantly, drivers should take two or more riders in order to provide a sense of safety for everyone. Kandasamy has been part of the I-95 slugging culture for years, traveling from Woodbridge to D.C. each day for work. He said slugging has been part of the commute on I-95 between Northern Virginia and D.C. for more than four decades. He wants to help those who travel along I-66 avoid the tolls by bringing the slugging culture to them. “We can make magic happen, like in the I-95 corridor, where more than 10,000 people slug every single day to work,” he said. Kandasamy is also the administrator of a slug lines website.